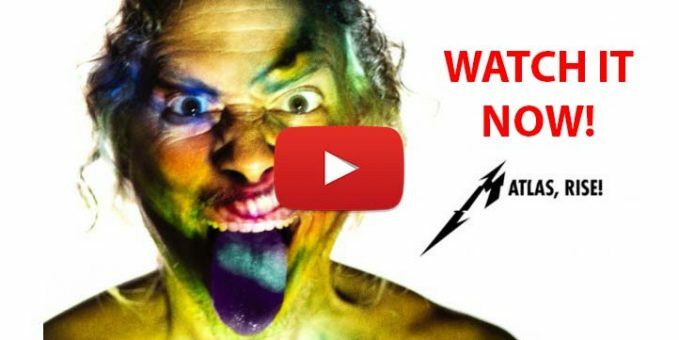 Home News METALLICA Have Just Released Video For New Song “ATLAS, RISE!” – WATCH IT NOW! METALLICA’s official video for the song “Atlas, Rise!” could be seen below. “Atlas Rise” is taken from METALLICA’s tenth studio album, “Hardwired…To Self-Destruct”, which is scheduled for “Halloween (October 31) release by way of Blackened Recordings. The long-awaited follow-up to 2008’s “Death Magnetic” consists of two discs, containing a dozen songs and almost 80 minutes of music. “Atlas Rise” was produced by Greg Fidelman with frontman James Hetfield and drummer Lars Ulrich. The band recorded the disc at its own studio. We will add video as soon as possible when Metallica publish it public but you can listen it via Spotify! Perfect Song!